He explained that on the very same day that the Chancellor announced cuts in benefits for the very poor in Parliament, another minister in Luxemburg thwarted an EU attempt to cut benefits for the very rich through the Common Agriculture Policy. 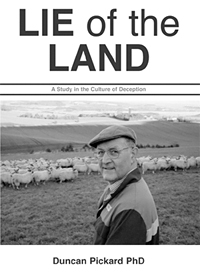 The Government justifies the latter, saying ‘we must help the farmers’, but it is in fact the big landowners who benefit as the main subsidy is paid on a per hectare basis as Duncan Pickard documents in Lie of the Land. But it is not only in the agricultural sector that the poor taxpayer subsidises the rich. As Fred Harrison points out in Ricardo’s Law wealthier property owners in the South-East enjoy far more benefits from taxpayer funded infrastructure and amenities than those in the North, the unrecognised cause of the ‘north-south divide’. It is the silence about this that puzzles Monbiot. He suggests three possible reasons, the third of which is that ‘after being brutally evicted from the land through centuries of enclosure, we have learnt not to go there, even in our minds’. 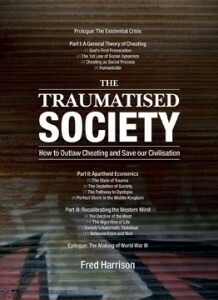 This is the trauma to which Fred Harrison refers in the title of The Traumatised Society. 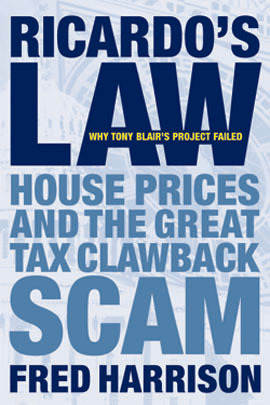 Monbiot goes on: ‘Whatever the reason may be, it’s time we overcame these inhibitions and confronted this unembarrassed robbery of the poor by the rich.’ It is this rent-seeking Harrison advocates we outlaw. To read full article click here.